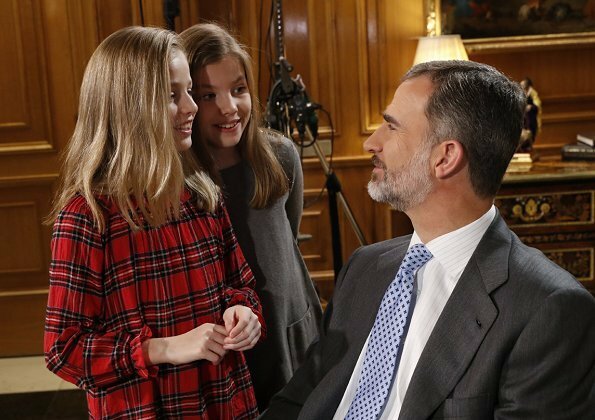 Felipe is a very attractive man, and only getting better with age. 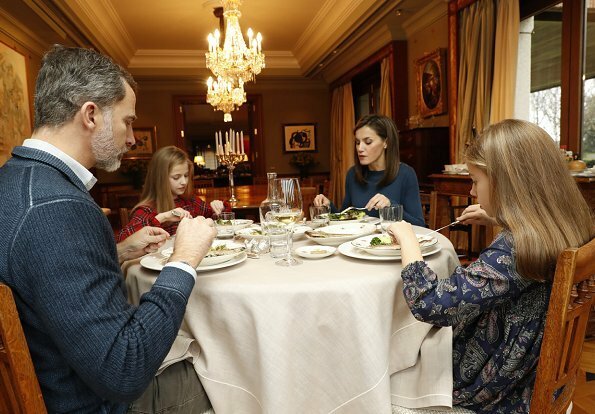 His family is lovely, with very natural and harmonious interaction. Agree. Felipe and Haakon both age such way it makes socks turn in even older lady´s ankles. Never noticed before that Leonore was left handed. He is a handsome & a lucky man with his 3 'girls' around him. Happy B'day! Lovely family. The girls are unaffected, natural and obviously love their father. Lovely family. 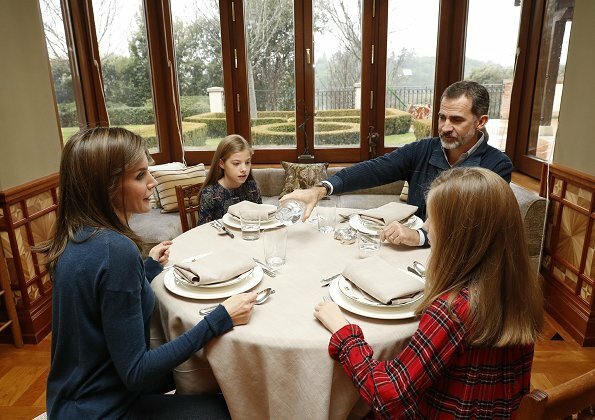 It's a credit to the king and queen that they have achieved a relatively "normal" life for their girls - who are absolutely charming. The girls are so beautiful. 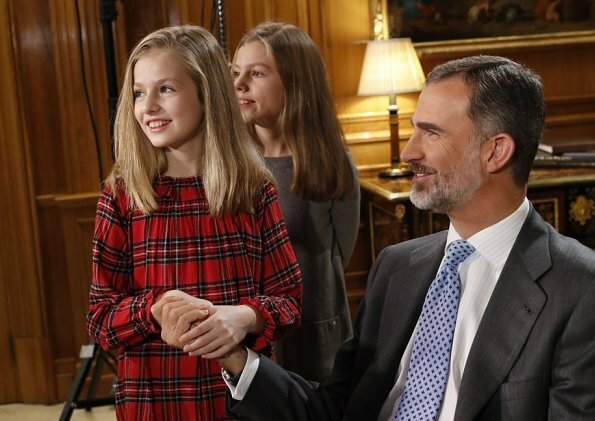 Espana es uno de los paises mas bonito en todo el mundo. Lo siento que hay tiempos duros ahora! 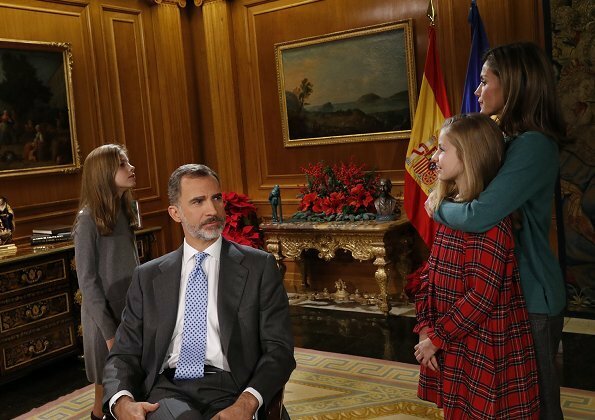 Felipe y su familia son maravilloso. 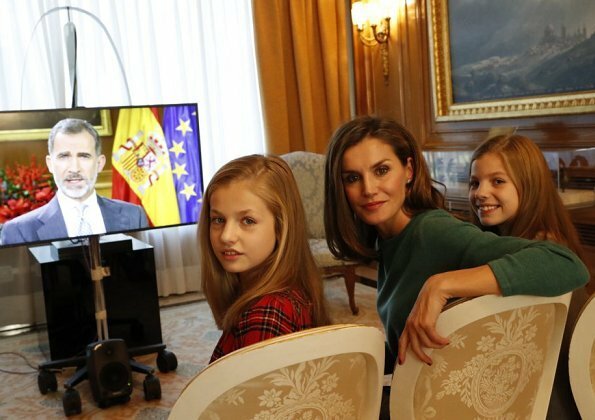 Letizia es inteligente y es una mujer de gran belleza y sus hijas son tambien, cada una un su manera. Beautiful well-behaved family. It seems even children of privilege may need some orthodontic work or oral myology therapy though. The Queen always has her mouth nicely closed but her daughters appear to need a bit of intervention like so many children in the western world. I'm sure they get the best possible services. They are beautiful girls. What kind of comment is it: even children of privilege may need orthodontic work and like in the western world?